The digital economy is here and you are under tremendous pressure to transform your IT department to meet the new normal of delivering exceptional customer experiences. At the same time, you have to continue to meet the needs of everyday business and maintain core legacy IT systems. With skills scarce and in high demand, how do you do both? The answer is partnering with a trusted open source provider with a strong services arm. One who can jumpstart your transformation and stand by your side as an advocate for your business. 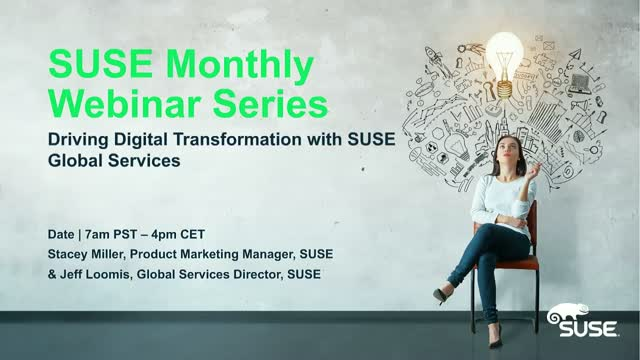 SUSE Global Services has flexible consulting delivery solutions and premium support services options to maximize value from open source solution investments.